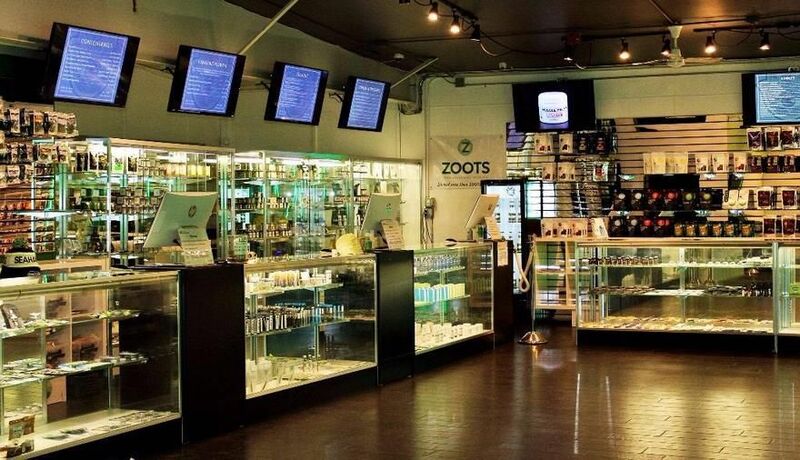 Budtender, Britney, was very helpful and knowledgeable about the products! Everytime I go in the budtenders do somthing ro surprise me and exceed my expectations. I really like this location and the budtenders. The only thing is I don’t find decent lower priced stuff a lot here compared to other stores. They have good products and prices are in line with other stores just wish they had more/better eights ranging $12-$18. Budtender with Blue Hair Must Go. I recieve excellent service from everyone except her. EVERYTIME. Kind of don't want to go back because of her. They need to update their inventory on Leafly. Didn't have what I was looking for even though it showed they did on the app. Starting off by saying that the selection is great and the quality is excellent, also within walking distance. However, the service I receive from the blue-haired budtender makes me want to shop elsewhere. I come in regularly, but every so often she'll give me a shifty look or mention how I look so young. She's even told me that I don't look like the person in my I.D... I'm very aware that I look young, but I'm a frequent regular and it gets really old. She recently told me that "You're always shaking when you come in and that makes me nervous that you look so nervous" and something about me looking 11 years old. You work in a place that sells what many consider medicine. I happen to suffer from a variety of medical issues including social anxiety and stomach problems. Marijuana is my relief most days. So before your employee offends a customer, she should take that into consideration. The customer service is always good. Facility is nice but I really would like them to start updating their Leafly menus more. As it stands they haven't updated since this January. Bonus they're one of the few dispensaries that carry Tranquil Forest products.